In last week’s blog, we discussed the different types of modelling that exist within the industry, as well as the requirements of each. One of the most exclusive categories of modelling is fashion modelling, with all its particular height and physical requirements that go on top of an individual’s look, talent, and walk. However, the industry is changing. The distinction between streetwear and high fashion is becoming more and more blurred, with designers such as Demna Gvisalia, creative director of Vetements and Balenciaga, and Gosha Rubchinsky’s post-soviet aesthetic and numerous Adidas collaborations. With this amalgamation of streetwear culture and what was previously considered haute couture, manifested in its finality by the Supreme x Louis Vuitton collaboration, it is clear that the fashion world is changing drastically. Streetwear is inexorably linked to social media. Instagram is the vogue of the streetwear community, with pages such as fashionfuckery, minimalarchive, and others being greatly influential and informative regarding streetwear trends and releases. Influencers are able to make careers based off their niche within the streetwear community, such as Leo Mandela (@gullyguyleo) and Magnus Ronning (@magnus). Neither of these influencers are fashion model material on the face of it; however, they work in collaboration with some of the most influential brands in the industry and are immediately recognizable within the community. The newly found power of the social media influencer is one that has naturally also progressed from one side of the fashion industry to the other. From the feed to fashion week, influential models with large social media followings are being cast for runway shows, regardless of height. 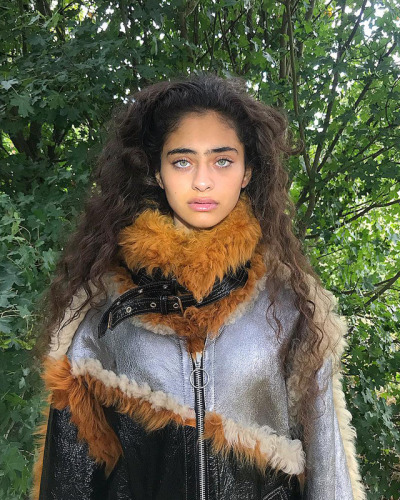 Deba Hekmat, Instagram @d.3b4 is signed to Anti Agency and has been part of the Vivienne Westwood ss19 campaign as well as walking for Vetements. Bilal, another model with anti, Instagram @jhuoza is also making movements in the modelling world. Initially a skater who had amassed a following online for skate style in France, he is now the face of Yves Saint Laurent’s fragrance Black Opium. At 6’0”, and having also walked for Vetements, this sort of unconventional type is all the rage in the modelling world at the moment. The role of a social media influencer itself is a newly emerging form of modelling. Even if an influencer does not get transferred over into the realm of traditional modelling as the aforementioned two have, their work is essentially still modelling. Brands will pay good money for online promotion of their products. This fundamentally works as more of a sponsorship deal from brands rather than anything else, but the good part is that a modelling agency is totally unnecessary when it comes to being a social influencer, meaning that no commission will be taken from you. It is a platform for aspiring models who do in fact wish to make the transition into traditional modelling forms get noticed by agencies who are aware of their online presence and capitalize on that in the knowledge that they will get work. Being a recognizable influencer within streetwear and the online fashion community, and hence a pseudo-celebrity within certain niche circles, is something that will attract brands to you. While the traditional role of a fashion model is to act as a living, breathing mannequin for the garment, as a social media influencer brands will want to be affiliated with you as a person. This brings life to their brand, and your online reputability and rapport with your follower base as an influencer will act as promotion and credibility for the brand. So, want to get into fashion modelling but don't meet the old-school physical requirements? There's still the chance to smash the industry. If you think you need your portfolio building or you could benefit from some mentoring, book an appointment to come into the office so we can wee what the best course of action is for you!